Charles L. Brooks III is the Warner-Lambert/Parke-Davis Professor of Chemistry and a Professor of Biophysics. He is affiliated with the department of Chemistry, Biophysics Program, program in Applied Physics, Molecular Biophysics Training Program (Director), program in Chemical Biology, Bioinformatics Graduate Program, Center for Computational Medicine and Bioinformatics and the Medicinal Chemistry Interdepartmental Graduate Program. 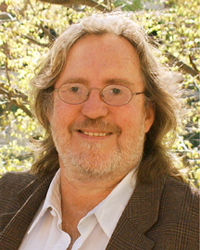 The research in the group of Charles L. Brooks III is focused on the application of statistical mechanics, quantum chemistry and computational methods to chemically and physically oriented problems in biology. The group develops and applies computational models to studies of the dynamics of proteins, nucleic acids and their complexes, including virus structure and assembly. They specifically develop novel computational methods for the inclusion of pH effects in modeling biological systems. Significant focus is in the development of a large, world-wide distributed software package for molecular simulations, CHARMM. Efforts are ongoing to explore new means of parallel and accelerated computation utilizing scalable parallel algorithms for molecular dynamics and integrated CPU/GPU computational models.